Wisconsin Chimney Technicians provide unmatched Waukesha chimney services. From Waukesha chimney rebuilding and repair to chimney inspections and cleaning, no chimney sweep achieves the same level of craftsmanship and efficiency as the Waukesha chimney sweeps at Wisconsin Chimney Technicians. 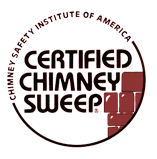 Our CSIA certified Waukesha chimney service technicians receive ongoing training to ensure the highest quality service for each and every customer. Waukesha area residents who utilize our professional chimney services will experience the excellent customer service, friendly demeanor, and high level of workmanship which makes Wisconsin Chimney Technicians the best choice for Waukesha chimney inspections, repair, rebuilding and cleaning. 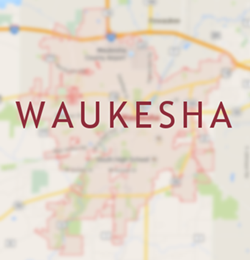 View Waukesha chimney testimonials from REAL Wisconsin homeowners. Creosote, soot and other debris builds up in your chimney over time. 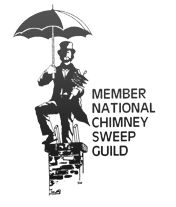 The Waukesha chimney sweeps at Wisconsin Chimney Technicians have decades of experience providing unrivaled chimney cleaning services. Our unmatched skill and dedication to providing the highest quality service ensure our Waukesha chimney cleaning services will leave you with a clean and clear chimney ready for use throughout the winter season. Our Waukesha chimney repair technicians offer a number of services intended to keep your chimney in tip-top shape. Our expert Waukesha chimney repair services ensure your chimney and home are protected against water intrusion. From Waukesha chimney cap repair to comprehensive tuckpointing and mortar repair, our Milwaukee chimney repair technicians pay close attention to detail, ensuring each and every service is completed to the highest standard of quality and workmanship. Stainless steel or galvanized Waukesha chimney chase covers ensure animals and rainwater can’t enter your chimney flue. Our Waukesha chimney chase cover installation experts will equip your chimney with a stainless steel or galvanized, durable chase cover to provide unequaled protection through years of use. Waukesha chimney flue cap installations improve your fireplaces functionality and add necessary protection to your home. A Waukesha chimney flue cap stops wind from blowing directly down your flue and ensures your roof and home are safe from embers and sparks. The Milwaukee chimney maintenance and repair experts install stainless steel and copper chimney flue caps of all shapes and sizes. Damaged, leaking chimneys are unattractive and may lead to dangerous moisture intrusion in your home. Our Waukesha chimney rebuilding contractors utilize years of training and field experience to efficiently rebuild your leaking, cracking or collapsing chimney. A newly rebuilt chimney from the Waukesha chimney rebuilding experts will stand strong through years of use. An annual Waukesha chimney inspection is the best step for ensuring your chimney is safe and ready for a long Wisconsin heating season. Our Waukesha chimney inspectors pay meticulous attention to detail, examining your chimney’s interior and exterior for any issues. Year-round training and a total dedication to the highest level of service ensure your home is in good hands with the Wisconsin Chimney Technicians. Our Waukesha chimney inspection experts will provide a detailed report and professional recommendations on any necessary chimney repair services. Clogged dryer vents force your dryer to work harder, leading to higher utility bills and an increased risk of fire and damage to your home. Our Waukesha dryer vent cleaning technicians provide expert services to make certain your dryer is running at full efficiency and your home is safe from dangerous dryer vent fires. The Waukesha Chimney Repair Experts offer Services throughout Southeastern Wisconsin, including Milwaukee, Delafield, Waukesha, Oconomowoc, New Berlin, Mukwonago, Pewaukee, Brookfield, Whitefish Bay, Wales, Dousman, and Hartland. Contact the Waukesha chimney sweeps at Wisconsin Chimney Technicians at (262) 547-8901 to learn more about our full range of chimney inspection, repair, rebuilding and cleaning services.